The Citizenship by Investment Unit (CIU) was established by the Prime Minister of Antigua and Barbuda in 2012 to stimulate economic growth, promote new developments, increase foreign investment, improve infrastructure and create a sustainable future. The Antigua and Barbuda Citizenship by Investment program is one of the fastest ways to legally secure a second passport within 3-5 months and offers several different investment pathways to citizenship. 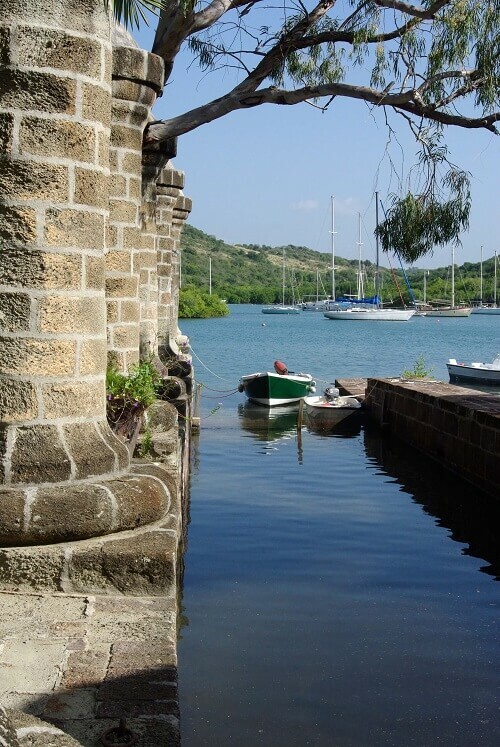 Antigua and Barbuda is a twin-island nation nestled between the Caribbean Sea and Atlantic Ocean. 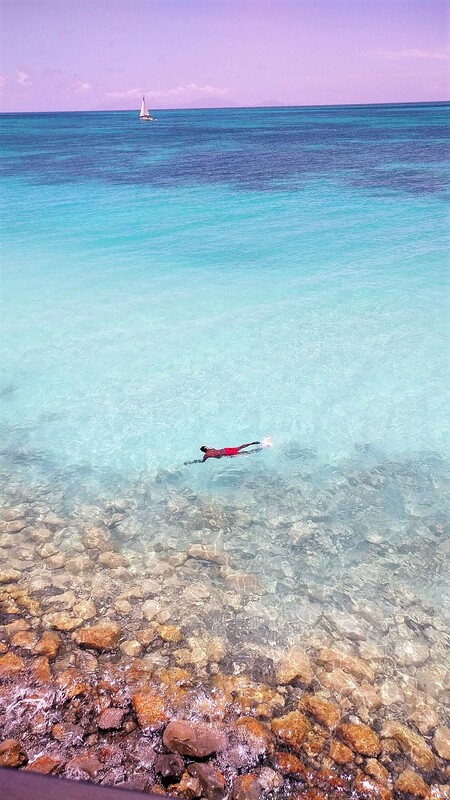 Known as the Land of 365 Beaches, these twin beauties offer the best of their namesake paradise with white sands and turquoise waters, lush rainforests, coral reefs, exotic fauna, and a rich cultural history. 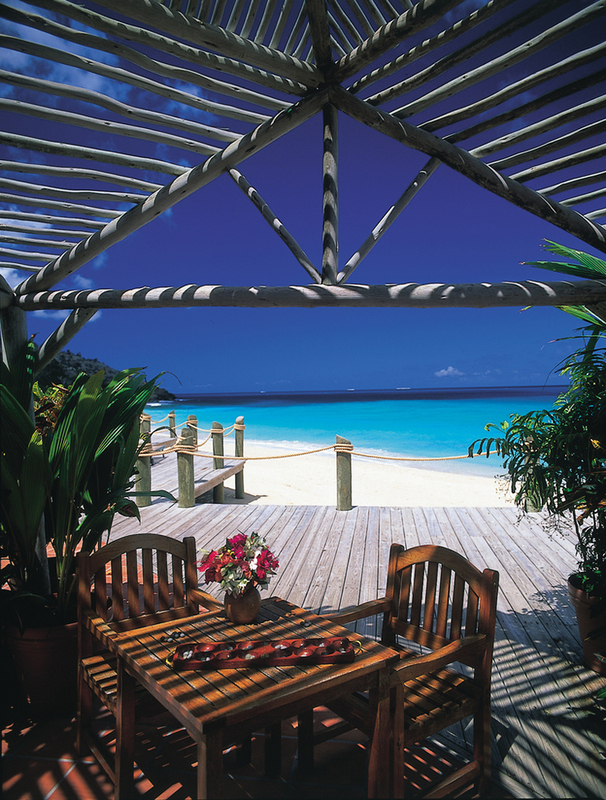 Antigua & Barbuda is one of the most developed countries in the Caribbean. It boasts economic and political stability, and has significantly advanced its tourism industry and business environment in recent years. Between its breathtaking scenery and bustling business environment, it’s no wonder that this tropical paradise has become a second home for many celebrities and successful entrepreneurs alike. 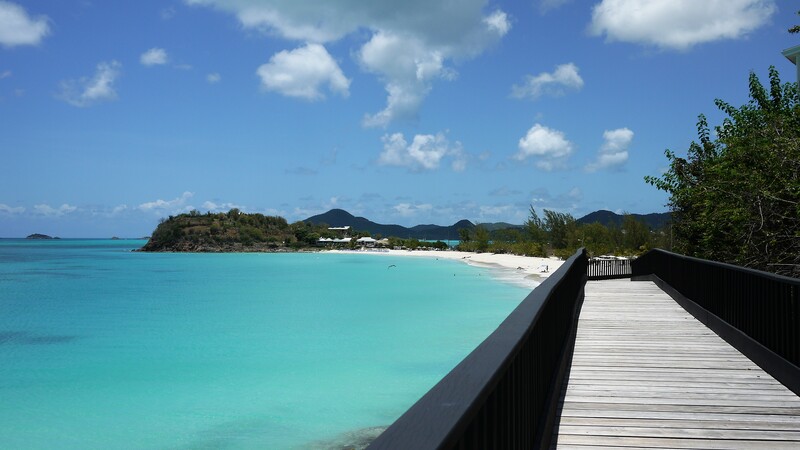 The Antigua and Barbuda Citizenship by Investment program offers three qualifying options for investors and their families to secure an irrevocable second passport and dual citizenship. The National Development Fund (NDF) is a non-profit foundation that was established for the purpose of funding government-sponsored public sector projects and approved charitable investments which are geared toward healthcare, education, environmental management, youth development or the promotion of sport and culture. The NDF option requires a non-refundable donation of at least $100,000 for a family of up to 4. This contribution amount was reduced by 50% in October of 2017, and will only be offered until October 31, 2019, so we recommend taking advantage of it while you can. These designated development projects offer investment opportunities in government-approved real estate. This includes hotels & spas, resorts, villas, yacht clubs, gated communities, townhouses, and other real estate development projects. The real estate investment must be held for 5 years. The real estate development option requires an investment of at least $400,000 in approved government property. Two or more applicants who have fulfilled a binding sale and purchase agreement can apply jointly for Antigua citizenship by investment as long as each applicant contributes the minimum investment of $400,000. Please note that the applicant is also required to pay registration, processing fees, and taxes on the property. The real estate option provides an easy exit strategy as the property can be resold 5 years after purchase. Note: A limited-time Real Estate investment option is available until October 31, 2019. Two applicants from related parties can make a joint investment, with each applicant investing a minimum of $200,000. All processing and due diligence fees remain the same. This option requires an investment of at least $1.5 million to establish or contribute to an existing business. Any applicants opting for this investment option are advised to discuss their proposal with the Antigua and Barbuda Investment Authority (ABIA). Two or more applicants can apply for citizenship by investment together by making a joint business investment, provided that each applicant contributes at least $400,000 and the total investment is at least $5 million. Family of 5 or more: $15,000 for each additional dependent. *Dependent children below 11 years old are not subject to government application fees or due diligence fees. Legal fees will be determined based on the number of people included per application. This applies to all of the investment options. The University of the West Indies Fund (UWI) was established to generate funding for UWI’s fourth campus in Antigua and Barbuda. This investment option requires a non-refundable contribution of at least $150,000 for a family of 4 or more. Investing in this fund entitles one family member on the application to receive a one-year, tuition-only scholarship to the University of West Indies. Currently, citizens of Afghanistan, Iraq, North Korea, Somalia, the Yemen, or Iran are not allowed to apply for the citizenship by investment program. For more information on the subject check this article. 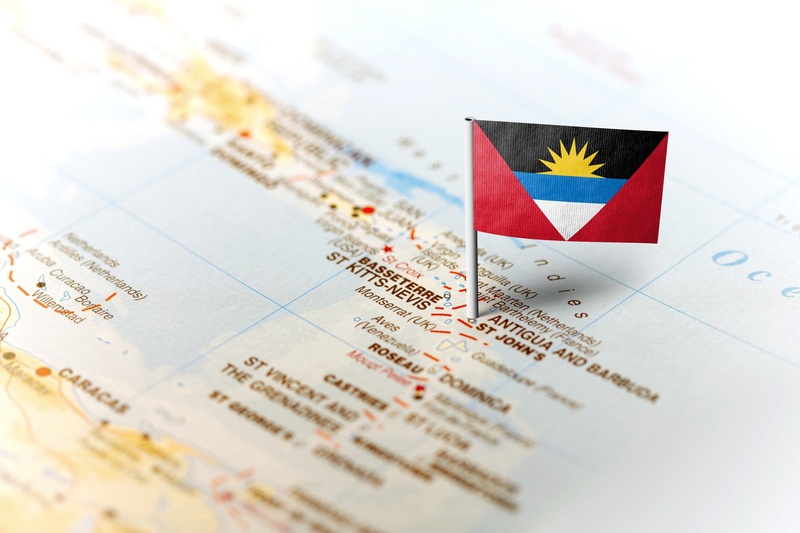 The application process for the Antigua and Barbuda Citizenship by Investment Program is thorough in its due diligence checks, yet quick and efficient. One of the fastest ways to secure a second passport in the Caribbean, the application processing time is currently 3-5 months regardless of which investment option you choose. *All original documents originating outside of Antigua must be certified. The Antigua and Barbuda Biometric Passport fee is $300 for each individual being issued a citizenship certificate. The passport is valid for 5 years and can be renewed, provided that you’ve spent at least 5 days out of the 5 years in Antigua and Barbuda. The renewal fee is $300. Our team at HNWI can take care of the renewal on your behalf when the time comes. Antigua Citizenship Benefits - Why Invest In? No requirement to travel to Antigua & Barbuda during the application process. Fast application processing within 3-5 months. No requirement to live in Antigua and Barbuda, though you certainly can. No restrictions on dual citizenship. No interviews or language tests needed. Accepts cryptocurrencies and EUR as forms of legal payment for the citizenship by investment program. Generous tax system that does not tax on wealth, gift, inheritance, or capital gains. No tax on worldwide income for citizens who are not permanent residents (i.e. for more than 183 days in any calendar year). Antigua and Barbuda is a member of the Organization of Eastern Caribbean States (OECS). The currency is the Eastern Caribbean Dollar which compares to the US Dollar at a rate of EC$2.70 to US$1. The country has no foreign exchange controls or restrictions on capital repatriation. Corporate tax rate is 25% and exemption from payment or reduction in the rate varies on the level of capital investment and number of jobs to be created in new investment proposals. Further, exemption from or reduction in the rate of import duty on raw materials, components and machinery and equipment can also be granted. Corporate tax concessions and tax holidays on profits of up to 20 years, including a waiver on import/export duties. Visa-free travel to approximately 150 countries, including the UK, Schengen area, Singapore, Hong Kong, and Russia. The right to live permanently in the country. The right to pass citizenship on to future filial generations. Family-inclusive program.Immediate dependent family members including your spouse, children below 26, and elderly parents over 58 can also obtain a second passport. Friendly and welcoming local population. Antigua and Barbuda is politically and socially stable. Its democratic government is based on the UK’s system. One of the safest countries in the Caribbean, Antigua and Barbuda measures up worldwide for low crime rates and lawfulness. There is virtually no threat of security concerns like terrorism, cybercrime, and money laundering. Well-educated and skilled population, specializing in IT, financial services, construction and tourism. Workforce training is mandated by market needs. Exception from or reduction on the rate of import duty on raw materials, components, machinery, and equipment. Tourism is the main driver of Gross Domestic Product (GDP) and generates around 60% of the island’s income, with key target markets being the U.S., Canada and Europe. Extensive Information Communication Technology (ICT) infrastructure. The country now has a modern telecommunications infrastructure which in turn facilitates fast growth in broadband internet and data and voice services, essential to modern information-intensive businesses. Member of the United Nations, the British Commonwealth, CARICOM and the Organization of American States (OAS) among many other international organizations. Official business language is English..
Duty-free trading in the Caribbean. Strong investor protection. It is ranked highly for enforcing contracts and protecting investors in the Latin American Caribbean Region. Plus, Antigua and Barbuda helps guide investors through the procedures and approvals necessary for the successful establishment of their businesses in the country. Can Antigua citizen work in USA ? A: Unfortunately no, an Antigua and Barbuda citizen still needs a visa to visit the USA and work there. Do I need vaccinations for Antigua? A: There are vaccines that are recommended or required. The CDC and WHO suggest these vaccinations: hepatitis A, hepatitis B, typhoid, meningitis and more. You can check the full list here. Paradise awaits you in Antigua and Barbuda, where the views are breathtaking, the beaches are picturesque, and the business environment is ripe for expansion. A premium destination in the Caribbean due to its prime location and increasing development, it’s no wonder that this island nation is home to many celebrities and successful entrepreneurs. When it comes to expanding your mobility, protecting your wealth, increasing your freedom and improving your quality of life, securing a second passport in Antigua and Barbuda is the perfect avenue to check all of those boxes. If you are interested in learning more about the Antigua and Barbuda Citizenship by Investment Program, please contact us today for your free initial consultation.